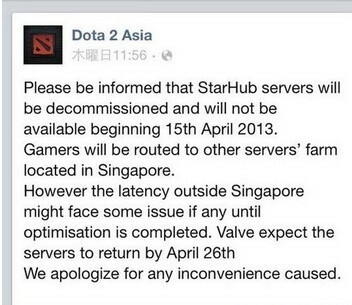 You are difficult to play dota2 with Southeast Asia server from April 15,2013? High pings exsit? People living singapore have no problem playing dota2 but who are residing out of Singapore may be experiencing high pings. 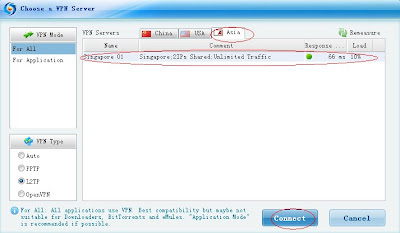 Why not change to Singapore ip with a free Singapore vpn to play Dota2 smoothly? Flyvpn released on free account specially for Dota2 gamers to changing your ip to a Singapore ip. Next, i give you guidance on how to connect flyvpn to your computer.Just three simple ways. 1) Download flyvpn client: http://www.flyvpn.com/download . 2) Log in flyvpn client by inputting the above username and password. 3 Select Singapore vpn then click "connect". Now you can play dota2 with low pings as who living in Singapore. These are the best VPNs software of 2015.